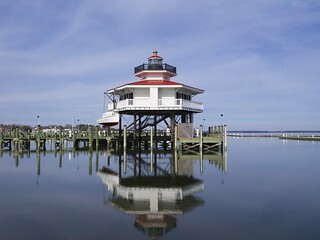 The original light was established in 1871 near Oxford MD. It was was replaced in 1921 with the current design. The light was decommissioned in 1964. This replica, located in Cambridge, MD, was dedicated in 2012.